Posted byadmin	 15. November 2014 1. January 2015 Leave a comment on Squatting Barefoot: Is It Better? Maybe I’ve spent too much time doing yoga in Hawaii (it is day 6 after all), but I’ve come to love doing squats with bare feet. Several months ago, I read something about squatting barefoot while doing research online. While it doesn’t have a cult following like barefoot running, squatting sans socks is definitely an increasingly popular trend. As the barefoot squatting devotees had mentioned, I was able to balance better without sneakers. It’s just foot against floor, with no compressible cushion in between. By being barefoot, I received better tactile feedback from the floor – and so it’s easier to balance or adjust. With increased sturdiness, you may even find that you’re able to increase the resistance. While most gyms require socks, shoes and shirts, I encourage you to be a rebel and give barefoot squatting a try. I honestly think you’ll be surprised – and impressed – by the difference it makes. And maybe you’ll become a believer, too. 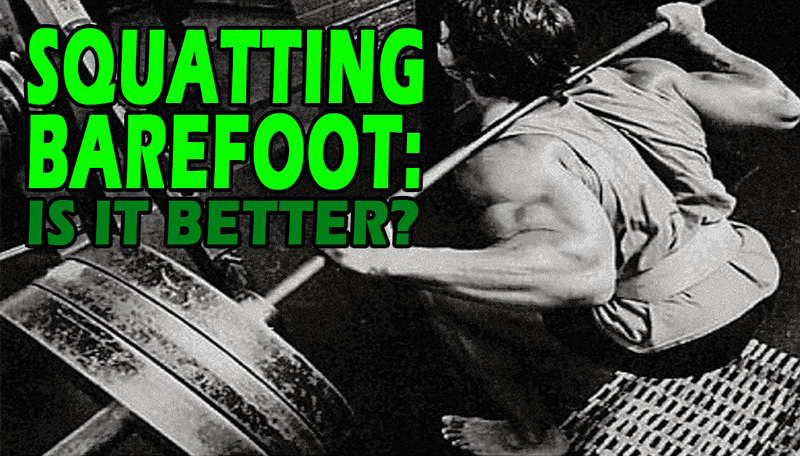 Bottom line: If squatting barefoot is wrong, I don’t want to be right.